How to find music recordings and sound effects at UCLA. Central web site for music research at UCLA. Listen online to jazz, opera, classical, popular songs, and more. Indexes to articles in music journals, MPA: Music and Performing Arts Online is best for this class. See links for Art History and Film, Theater, and Television. How to access licensed resources from off campus using your Bruin Online email. Central database of UCLA library collections. Still need help with your research? In-person research assistance is available in the Music Library. 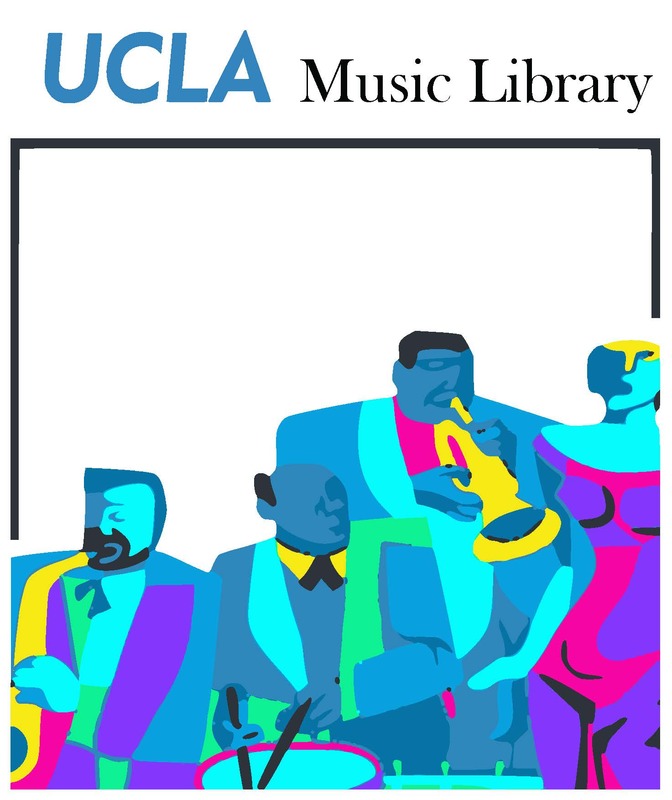 Search for sound recordings at the UCLA Library. The Music Library has CDs, LPs, and other media, and licenses many online audio web sites. Anyone may use these recordings in the Music Library. (CDs circulate outside of the Music Library only to music majors and music faculty but permission will be granted to other UCLA students for special cause.) The Music Library has recordings of Western classical, popular, and contemporary music, jazz, musical theater and movie soundtracks. The Ethnomusicology Archive has CDs, LPs, and other media, but all use is in the Archive. The Ethnomusicology Archive has recordings of non-Western music and Western folk music. The Performing Arts Special Collections has a very large collection of historical recordings of popular music, jazz, film music, Broadway, and film musicals. All use is in the Performing Arts Special Collections. All of the music you find at UCLA can be used for research, class projects, performance, or for enjoyment. If you use this music in a public performance, in a film or play in commercial distribution, or in any other way outside of the classes you take toward your degree you will probably need permission from the copyright holder. See the Music Library Association's Copyright website for more information.